Many people are not familiar with the risks associated with visiting a working farm. 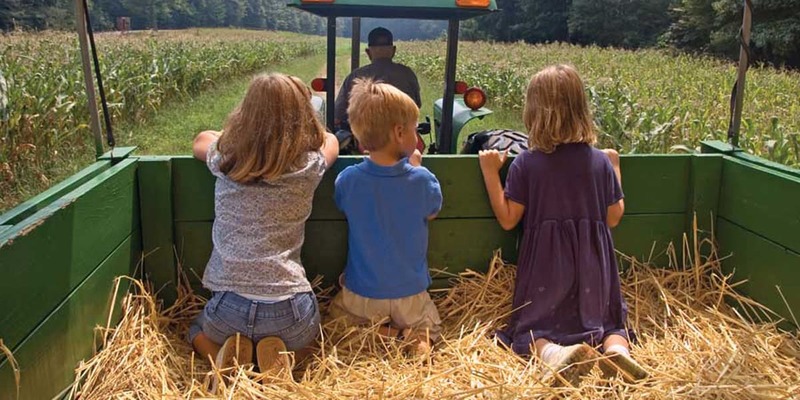 Agritourism events, including school field trips, petting zoos, county fairs and similar venues, are an increasingly popular way for people to experience agriculture. However, these events can place people at risk of serious illness and injury, particularly for disease transmission between animals and people. Consequences can affect both farm visitors and the owner/operator. Implementing safety practices to reduce the risk of injury or illness to visitors is becoming increasingly important. provides education to county fair board and farms hosting agritourism events on topics such as state licensing requirements, best practices for animal venues, handwashing, facility design and farm safety, as well as a safety training certification program for owners/operators. 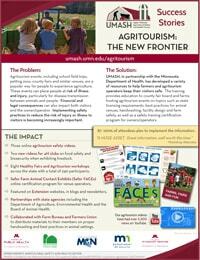 In addition, UMASH and MDH collaborated on a variety of resources for agritourism operators and visitors. These include brochures, posters, and videos on handwashing and tips for keeping visitors safe.